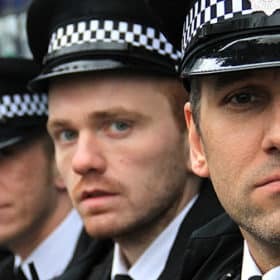 In this guide we are going to give you a full breakdown of how to join the police as a Detective Constable, via the new Police Detective Direct Entry programme. From application form all the way through to assessment centre and interview, this book contains the very best advice available for aspiring candidates to the Direct Entry programme. 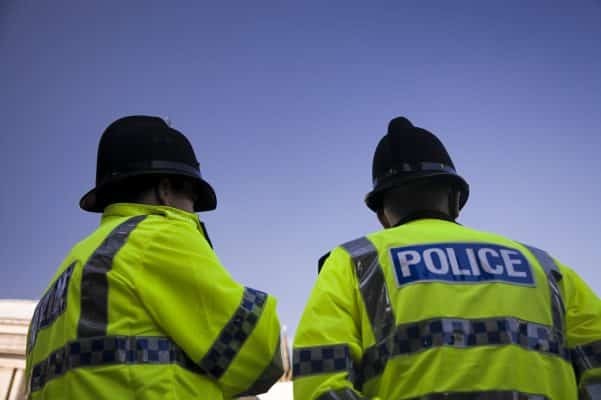 What Is Police Detective Direct Entry? Police Detective Direct Entry is pretty much exactly what it says on the tin. 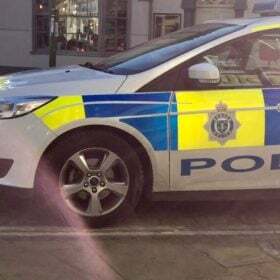 It’s a way of directly entering the police as a detective constable. Usually, you would need to gain a few years of experience with the police in order to progress up to this rank. However, now the police are offering talented candidates the chance to enter the force at this rank, and then progress from there. If you are successful in applying for Direct Entry, you’ll start out as a trainee detective constable, under a two-year probationary period. The training will be suitably intense, with visits to operational police facilities and working within Criminal Investigation units. During your two-year period, you’ll need to complete the National Investigators’ Exam, and a Detective training course. Once the two-year period is up, you will be granted the rank of Detective Constable, and assigned the rank of Detective Constable. Whilst working as a trainee, you’ll be assigned cases such as burglary, hate crime, sexual assault and fraud. Initially you’ll start with smaller crimes, before working your way up to serious issues. A Detective Constable is a high-ranking officer in the police force. 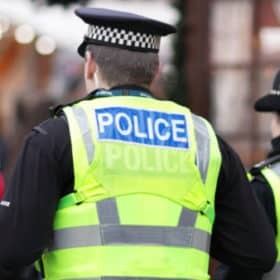 The role of a Detective Constable is to participate in difficult and complex criminal investigations, interview victims of crimes (and suspects), and play a leading management role within the police. Directing and participating in criminal investigations. Assessing a range of information and data, to come to accurate decisions. Developing strategies for managing investigations, and evaluating existing strategies to determine how they could be improved. Using the latest technology, to assist ongoing investigations. Making cost-effective decisions, with the police budget in mind. Ensuring that interviews and interrogations are carried out with the utmost professionalism. This should be the immediate priority for any person who is sent to a crime scene. First aid should be provided to any victim in need, and an ambulance should also be requested if necessary. Preserving life should be the mandatory first protocol, even if it risks tampering with the crime scene. Your next priority should be in preserving the crime scene. You need to look at the crime scene as an area, and secure all routes to and from the scene, by placing tape over the entrances, assigning officers to guard entrances and deny access from civilians. You also need to ensure that steps are taken to secure physical evidence, without disrupting or damaging this evidence. Securing the Evidence. Following the above, it’s imperative that you take steps to make sure the evidence is handled carefully. This could be in the form of taking witness statements, or even seizing crime scene items. Next, you need to make identifying victims your priority. By doing this early, you stand a better chance of identifying suspects, and in doing so solving the case. Finally, you need to engage in identifying and arrest suspects. This is extremely important, as suspects could pose a risk to others, or destroy essential evidence before it can be seized by police. As per the normal police standards, it’s extremely important that you have a good knowledge of the direct entry core competencies. These are the core values/behaviours that you will be judged against during the selection process. Below we’ve listed some of these. The first competency on the list is emotional awareness. colleagues, and your own emotions. Part of doing this is your ability to listen to others, making a genuine attempt to empathise with them and appreciate their viewpoint. Positive drive is all about being the change that you want to see. It’s about being a force for positive development within the police, and motivating others to improve their own working practice. You must take a positive and enthusiastic attitude to your work, keeping other colleague’s spirits up. As a leader, you must be decisive and proactive, showing a confident and assertive attitude. It’s extremely important that every single employee of the police is capable of adapting to new working methods, and constantly improving. Criminals are becoming more and more intelligent in their attempts to evade the law. The use of modern technology has aided criminals in this regard, but it can also aid the police. Using the most up-to-date methods, you will be responsible for tracking down and detaining criminals. Working in the police is an exciting and hugely rewarding career, but it is also extremely challenging and can push you to your limits. In order to succeed, you’ll need to be a resilient person. You must be able to face challenges and hardships with an open mind and a calm approach. 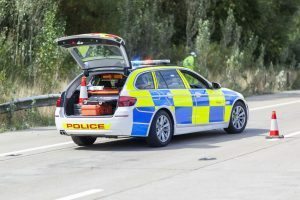 Obviously, the police do not expect you to be a robot – they know that their employees are human beings and that some of the things you’ll experience when working will have an emotional impact. However, it’s imperative that the police know you can handle this. They don’t want to hire someone, only to have them drop out a few weeks later because they can’t deal with the difficult aspects of the role. So, with this in mind, it’s important that you are resilient. Learn more about the core competencies! 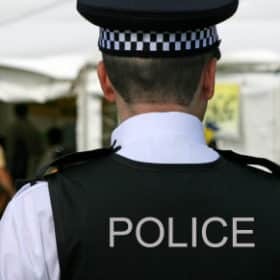 In this section of the form you will need to acknowledge whether or not you have been a member of a police force before, or have served with HM forces or any other nation’s military. Finally, at the end of the application form, you will be asked some competency-based questions. There will 4 questions in total. While the rest of the form is basically a case of giving the police personal details and information about yourself, here you will be seriously challenged, so it’s essential that you take your time and get this part right. Following your application form, you’ll be asked to complete a verbal reasoning assessment. The verbal reasoning assessment will challenge you on your ability to answer questions based on a passage. You’ll need to read the whole passage, and then will be given a series of statements. After each statement will be the words TRUE, FALSE and IMPOSSIBLE TO SAY. Your task is to decide which category each statement falls under. When answering the questions, you must only answer based on information provided in the passage. So, if you get a statement that reads, ‘It was raining on Tuesday 17th April’, and the passage also says that it was raining on the 17th April, you must select true – even if this wasn’t the case in real life. Following the verbal reasoning assessment, you will be invited to take part in a regular police assessment day. 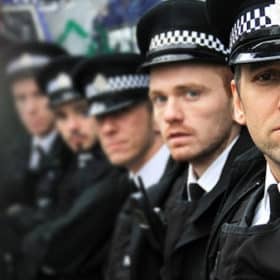 All candidates to Police Detective Direct Entry are required to do this, as it helps the police to filter out the large number of candidates whom they get for the selection process. It also really gives a good indication who is suitable for the role, and who’s not. So, make sure you take this assessment day seriously! You can find loads of tips and tricks on both Verbal Reasoning and the initial assessment day, in our fantastic guide! then you will not pass the assessment centre and progress to the next stage. Below we’ve broken down the briefing exercise and the in-tray exercise for you. In-Tray is a paper-based exercise which simulates an office environment. The goal of the exercise is to be similar to a normal working day for the job which you are applying for. 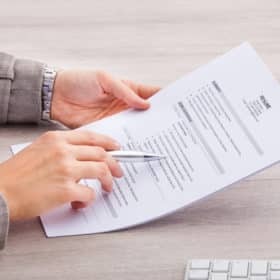 Therefore, In-Tray is an excellent way to measure a candidate’s ability and see whether they work in a way which is conducive to the job and business as a whole. In a sense, the In-Tray exercise is like a role play exercise. You are asked to assume a role, then, under the specification given, you are expected to complete the tasks presented to you. Generally speaking, this involves being given a collection of tasks to complete: your job is not only to complete these tasks, but to also prioritise them in an order which means you’re most likely to complete them all in time. Different pieces of work will have varying deadlines. Likewise, you might find a piece of work later in your assessment which has a tighter deadline. Therefore, it might be the case that this newer piece of work needs to take precedence over everything else, which can be put to one side for the time being. The Detective Constable assessment centre takes a slightly different approach than you would normally expect. Instead of prioritising the issues in order, you will need to write a report, based on what you’ve read – summarising your main priorities, how you would order the issues, and what actions you will take based on this. Following your In-Tray assessment, you will be asked to take what is known as a Briefing exercise. The Briefing exercise lasts for around 1 hour in total. You’ll likely be given 30 minutes before the exercise to prepare, and 30 minutes to complete the exercise itself. During the exercise, you will be asked to give a verbal presentation on the In-Tray exercise, to an inspector. Essentially, you will be physically describing all of the elements that you listed in your In-Tray report. The presentation normally lasts for 30 minutes overall, with a period of 15 minutes dedicated to presenting and 15 minutes where you will be asked questions by your assessors (your “inspector”) based on what you’ve said. 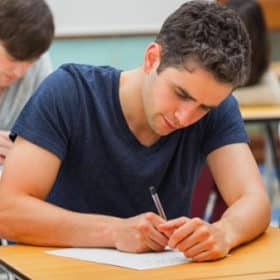 These questions will be focused around the topics that you’ve raised, and you’ll need to provide good quality answers to all of them in order to pass. You will be allowed to bring your report into the Briefing with you, but you’ll be judged based on how well you can present your ideas, so it’s essential that you can make the most of the planning stage. As we’ve mentioned, you will be given a period of 30 minutes prior to the exercise, to plan how you will present your ideas to the inspector. The final stage of the Detective Constable Assessment Centre is the interview. How Will These Competencies Be Used? clear idea of what questions you’ll be asked, and how you are going to answer. You need to take into account all of the micro factors that make up these behaviours. For example, ‘team working’ is not just about working as a member of a team. It’s about communicating with your team, being a supportive person, asking for help, showing understanding and consideration for the feelings of others, and being a leader. So, when you give a response showing that you are a good team worker, take care to show these qualities. difficult. For some questions, you’ll need to take a moment and think about what competency would apply in this scenario. For example, ‘Give us an example of a time when you have overcome adversity in the workplace.’ You’ll notice that the wording of this question doesn’t actually incorporate any of the competencies. When you get a question like this, consider the main issue. In this case, the words ‘overcome adversity’ would be the main topic of the question – which can be linked with resilience. Below we’ve included two sample questions, and some tips on how to answer them. Q1. Tell us about a time when you have used your communication skills to resolve a difficult problem. specifically that amended the situation, and how did it change things? Q2. Can you give an example of a time when you have motivated a colleague to improve their performance? This question requires you to think a bit more about which competency is relevant. Which of the competencies requires you to motivate your colleagues and encourage them to improve? The core competency required here is positive drive. Positive drive is about having the drive and commitment to uphold the highest possible standards, whilst maintaining a positive and enthusiastic outlook on your work. This is also a good opportunity for you to show your leadership skills! 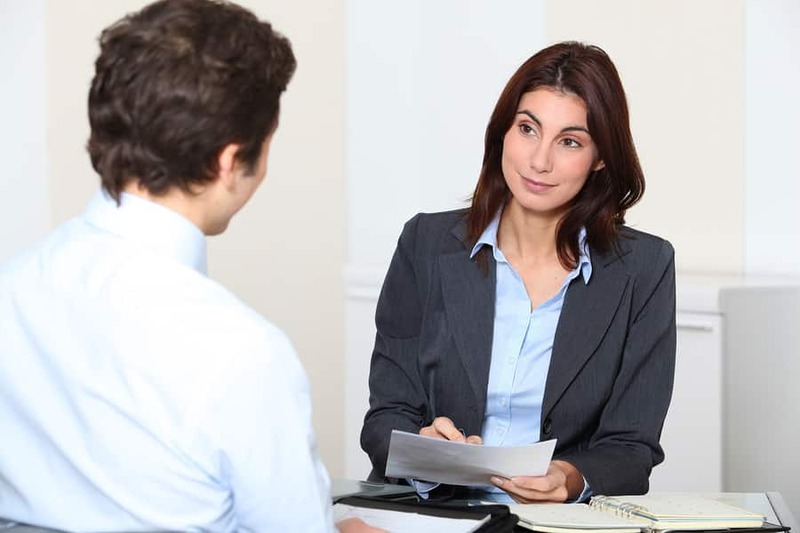 Practice more sample interview questions! Why the competencies matter, and why you should learn them. Specific behaviours which link in with each particular competency. Which competencies can be used in combination with each other. An extensive overview of how to pass the types of test you’ll encounter. How to get in your practice in early, to beat the competition. Things to avoid and things to do in the run up to assessment. Top tips from experienced industry experts! 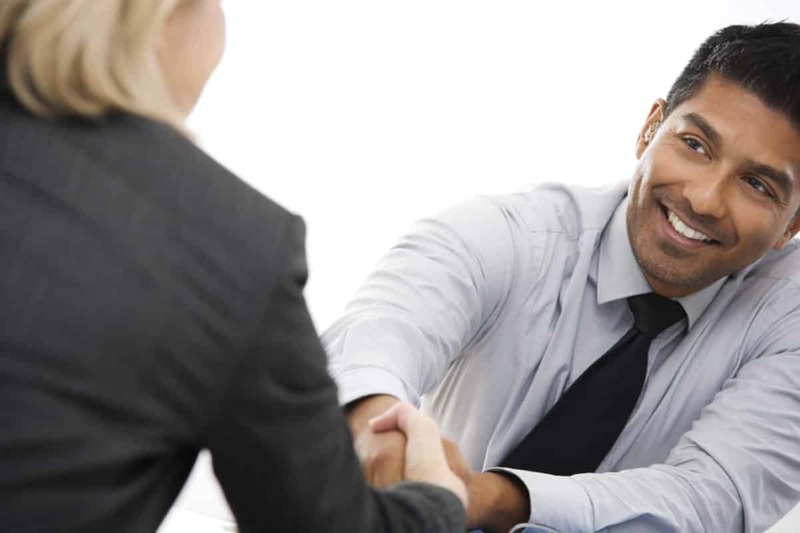 Essential tips on how to ace the interview. How to use the core competencies to impress the assessors. Brilliant examples, upon which you can base your own responses! How to use your strengths to your advantage. Using our guide, you are guaranteed to improve your chances of passing the Detective Constable selection process. Jam packed with essential advice on everything from application form to interview, this is MUST BUY for anyone interesting in joining the UK Police Service. A comprehensive explanation of ALL the core competencies. In-depth interview questions and answers! 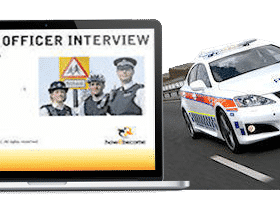 Vital information for each stage of the selection process to help you prepare for the police detective constable application.